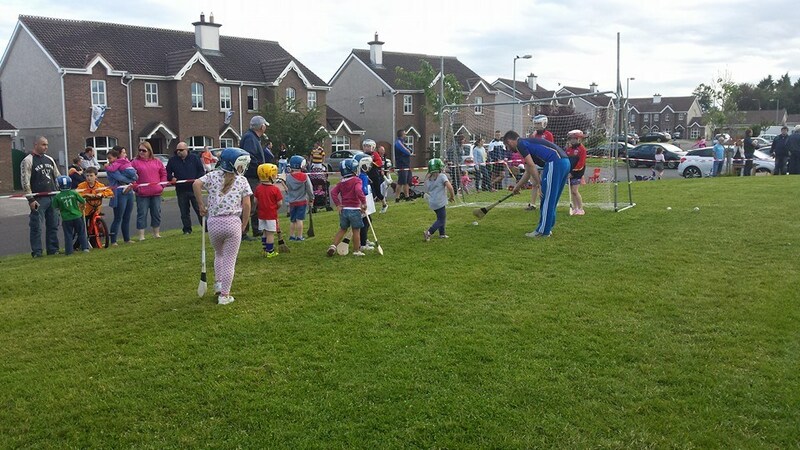 Last Wednesday night saw the second of our 'Hurling on the Green' sessions in Tournore Park. 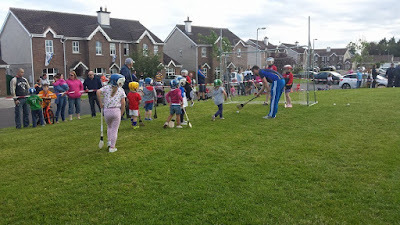 Again another large number of children attended and enjoyed a great evening of fun and coaching. Thanks to all who helped out on the night. Next week we move to Ballyrandle Drive in Ballinroad with activities running from 7:00pm to 8:00pm. Both boys and girls from age 5 to 9 are welcome. Our ever popular Jack the Joker fundraiser continues this Sunday night in Minnies Bar where the jackpot is €3,800 as on Sunday night last Orla Fennell was drawn out of the drum and chose card number 25 which wasn’t the Joker although she did win €50. 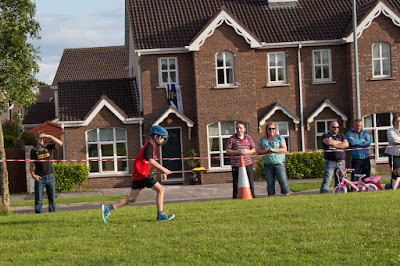 Caroline Sullivan and Richie Cosgrave won €25 each. As well as our group of ticket sellers tickets can be purchased from Convenience Store Ballinroad, Village Flowers, Spar, Mousies Takeaway, Minnies Bar and Crotty’s Corner Bar. 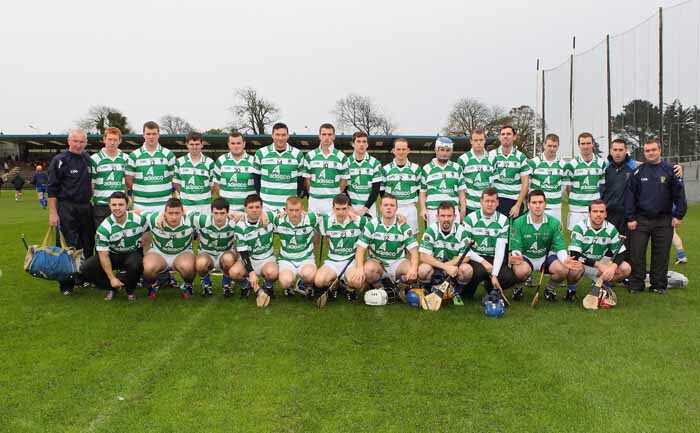 Our Junior B hurlers recorded a very good win over The Geraldines on Saturday night last and have now qualified for the knockout stages of the Championship. Anyone wishing to order tickets for the All-Ireland Hurling Semi Final must have their request in with the secretary by 12:00 noon on Friday, 31st July. Adult stand tickets cost €40, terrace tickets are €25. Family tickets costing €40 per adult and €5 per juvenile are available for the Cusack and Davin Stands only. Senior Citizens and students who wish to claim a €10 rebate on the day of the game must purchase their tickets for the Cusack Stand. The second night of ‘Hurling on the Green’ will take place this Wednesday evening between 7:00pm and 8:00pm in Tournore Court. All children from 5 to 9 are welcome to attend. It was fantastic on Wednesday night last to see so many children between the ages of 5 and 8 turn out for Hurling on the Green. 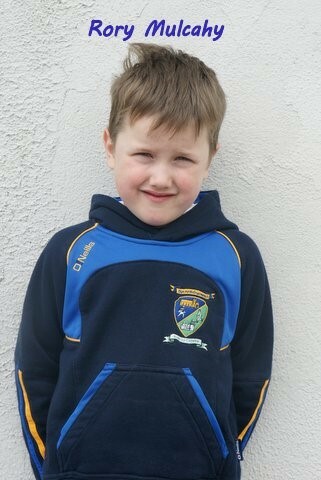 Thankfully the weather was much better than the previous week and as a result up to 80 kids were present. Hopefully we will get a good turn out on this Wednesday night also. Our minor hurlers play their third game of the county minor hurling championship on this Wednesday night against Clann Na Gael in Abbeyside. The Kieran Lennon trophy will also be competed for in this game to mark the work of a very loyal club man who has gone to his eternal reward. We played Under 15 football on Saturday morning last where we played two games. We played the Brickies and the Gaeltacht. We played well in both games and came away with victory in both. Well done to all involved. We beat Tramore in the Under 16 Hurling Championship last week away on a score line of 3-26 to 4-7. We played well on the night and hit some great scores. Our next match in this championship is at home to neighbours Dungarvan. Our under 14 hurlers took on Lismore in the Under 14 Hurling Championship on Monday night last. At the time of going to print the result of this match was unavailable but will be included in next week’s notes. 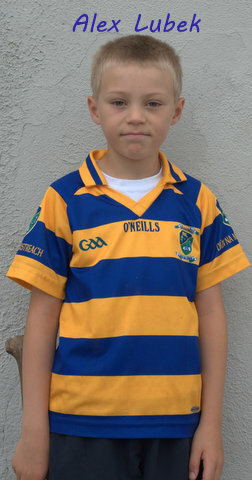 After playing fantastic throughout our Under 13 team beat St. Pat’s on a score line 6-13 to 0-3. Let’s hope this group keep getting better as the championship goes on. 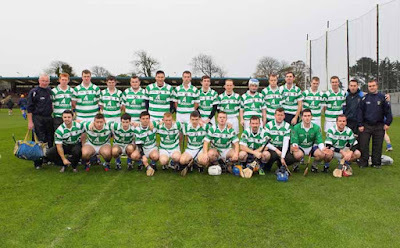 This week's photo comes from 2013 and shows the Abbeyside team, wearing Ballinacourty jeresys, that contested the County Junior Hurling Intermediate Attached Final versus Erin's Own at Walsh Park. A narrow 1-7 to 0-11 defeat followed what was a hard fought 1-14 to 4-3 Western Final win over Brickey Rangers. On Wednesday evening last, 22nd July, Abbeyside / Ballinacourty GAA Club hosted the first of our 'Hurling on the Green' sessions in Tournore Park. Over 80 children attended from there and neighbouring estates in what proved to be a very successful event. 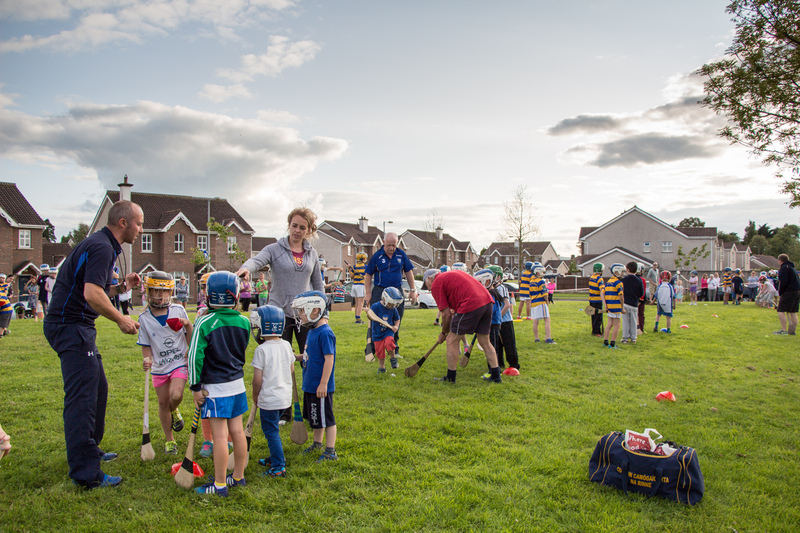 The aim of the initiative is to go out into the community and introduce Gaelic Games to youngsters in a friendly and fun environment. 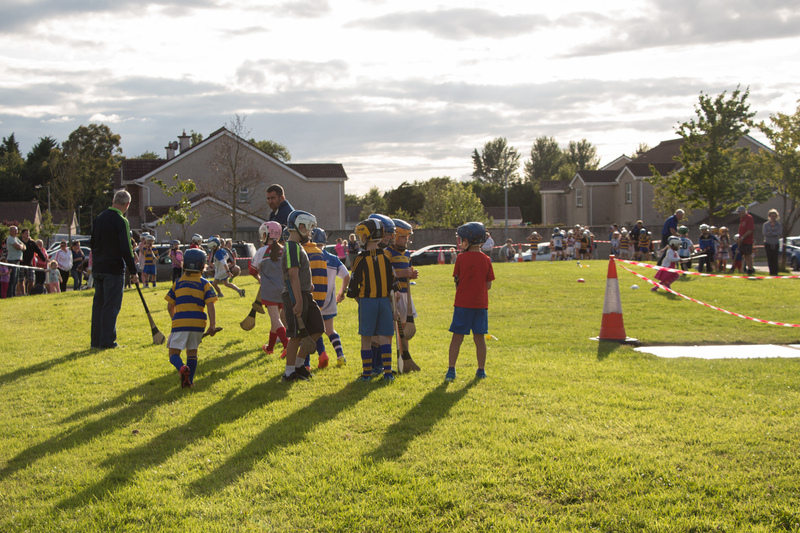 The next session takes place on Wednesday evening next, 29th July from 7:00pm to 8:00pm, again in Tournore. 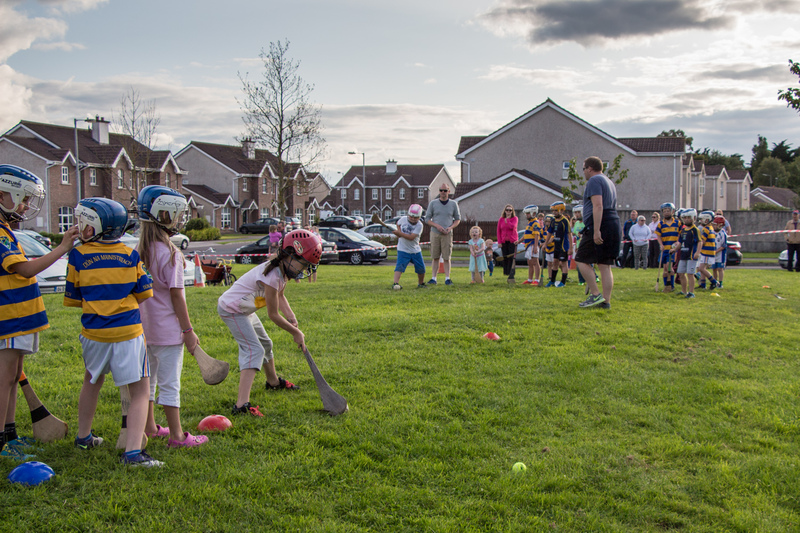 All children from 5 to 9 years from all over the parish are invited to attend. 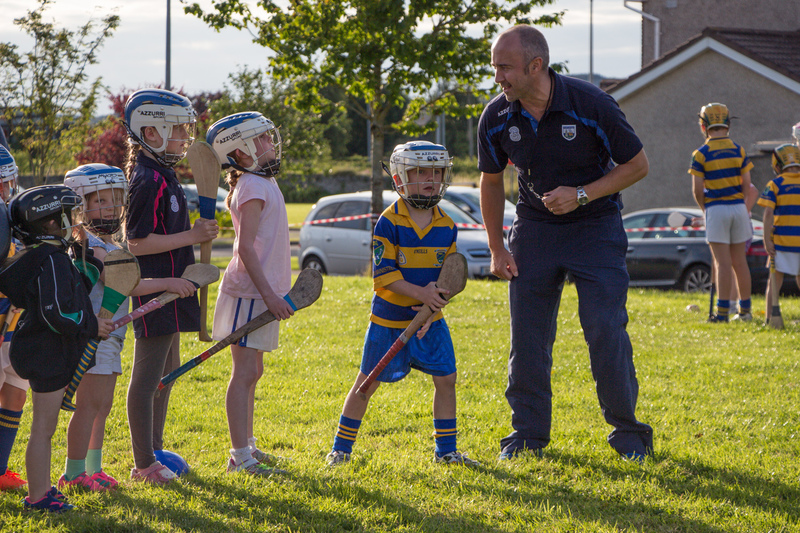 Hurleys and helmets will be provided for those who require them. Many thanks to all the coaches and administrators for helping out on the night. 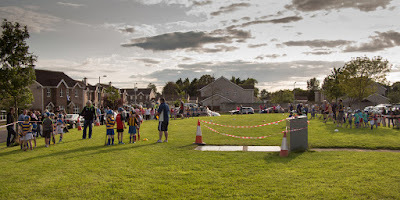 Below is a selection of photographs of the event, kindly provided by Kieran Russell. Our ever popular Jack the Joker fundraiser continues this Sunday night in Minnies Bar where the jackpot is €3,600 as on Sunday night last Damien O’Donoghue was drawn out of the drum and chose card number 23 which wasn’t the Joker although he did win €50. Michael Ahearne and Tommy Reynolds Snr won €25 each. As well as our group of ticket sellers tickets can be purchased from Convenience Store Ballinroad, Village Flowers, Spar, Mousies Takeaway, Minnies Bar and Crottys Corner Bar. Our game against Melleray did not go ahead last Friday night as our opponents gave us a walkover. We play The Geraldines this Saturday night at 7:30 pm in Colligan in the Western Championship. On behalf of all in the club we would like to congratulate Tiernan Murray and Jacqui McGrath on their marriage which took place last weekend with many club members in attendance including many who traveled from abroad to attend. We wish Tiernan and Jacqui every happiness in the years ahead. On behalf of all in the club we send our deepest sympathies to Austin Flynn and to all the Flynn family on the death of Sybil Flynn last week. Austin was of course one of the finest hurlers ever produced by this county and hurled for many years in the blue and gold of Abbeyside. 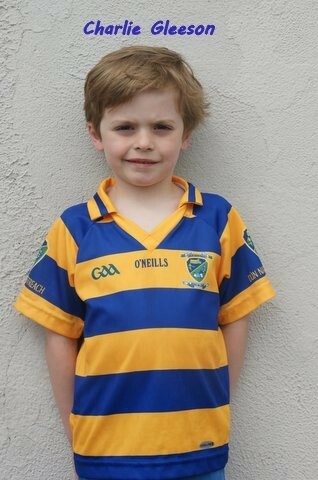 Again we extend our sympathies to Austin and all the Flynn family on Sybil’s passing. Click here to see details of same. The club would like to send out apologies to anyone who was inconvenienced in any way with the cancelling of hurling on the green on Thursday last. The Irish weather was the main reason for this and it was out of our hands completely with the amount of rain that fell on the day. We are hoping to see better weather conditions this Wednesday. 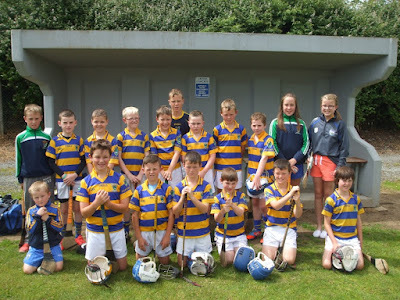 The U10 panel travelled to Thurles, Co. Tipperary on Saturday 18th July to take part in the Munster U10 Hurling blitz. 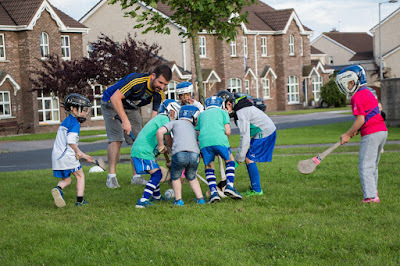 This was played in Dr Morris Park which is right beside Semple Stadium. 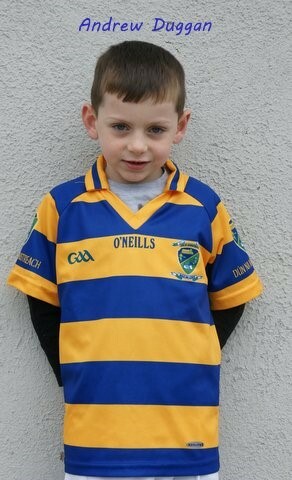 First game on the day was against Scariff Ogonnelloe from Co. Clare and the lads won this one well. Second up was Doon from Co. Limerick, this was a much tougher game but the lads dug in and came away with a one point victory. Last game was against Cork's Lisgoold and again we played very well and made it three out of three on the day. The emphasis of the blitz was participation, improve skill levels and fun and all three were achieved. Well done to the boys on the effort put in, thanks to the parents who travelled and a special thanks to Paschal for refereeing the games. Also thanks to Shane Briggs who took a training session with the boys on Friday evening, this was something different for the boys and they enjoyed it too. We take a break for a few weeks now to enjoy holidays and recharge the batteries and a text will be sent out a couple of days before we come back. Back Row (L to R): Rian Walsh, Cormac Dunne Fitzgerald, Jack O Donovan, Daniel Morrissey, Sean Walsh, Ben O Donovan, Jake Fitzgerald Drummy, Darragh Walsh, Sam Phelan, Hannah Walsh, Laura Cosgrave. Front Row (L to R): Aaron Walsh, Billy O Connell, Ethan Keohan, Darragh Cosgrave, Aodhan Barrett, Kieran Cosgrave, Jamie Mulcahy (Missing from photo Cathal Sweeney). 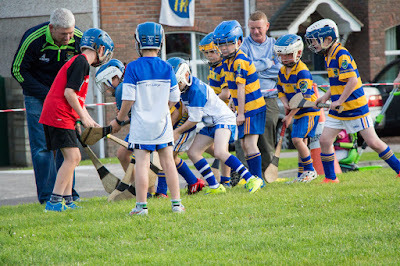 We took on Fourmilewater in the Under 13 Western Hurling Championship on Wednesday night last. After playing very well on the night it was the visitors who came away with victory and while we lost the game the lads gave it everything on the night. We also played on Monday night of this week in this championship against St. Pat’s but the result of this match was not available at the time of going to print but will be included in next week’s notes. Our Under 14 hurlers took on a very strong Ballygunner team in the first round of the Under 14 County Championship on Monday night of last week. Again a loss here was the result but everyone was full of praise for our boys on the night. They fought tooth and nail throughout before losing out by a goal. Well done to all who played on the night. Our Under 16s play their second game of the County Championship on this Wednesday night against Tramore. After losing in the first round a win here is a must if we have ambitions of qualifying for the knockout stages of the championship. 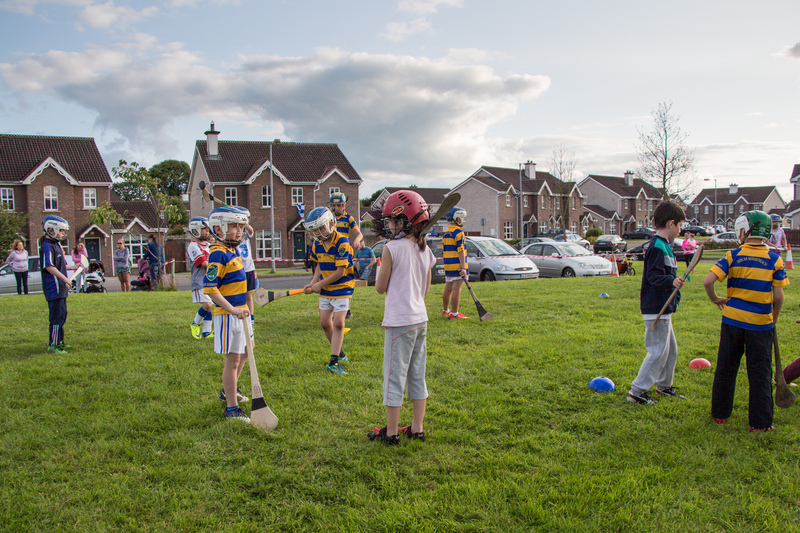 Our minor hurling team also played their second game of the county championship on Sunday night last against Mount Sion. On the night we were too strong for our opponents and came away with victory. 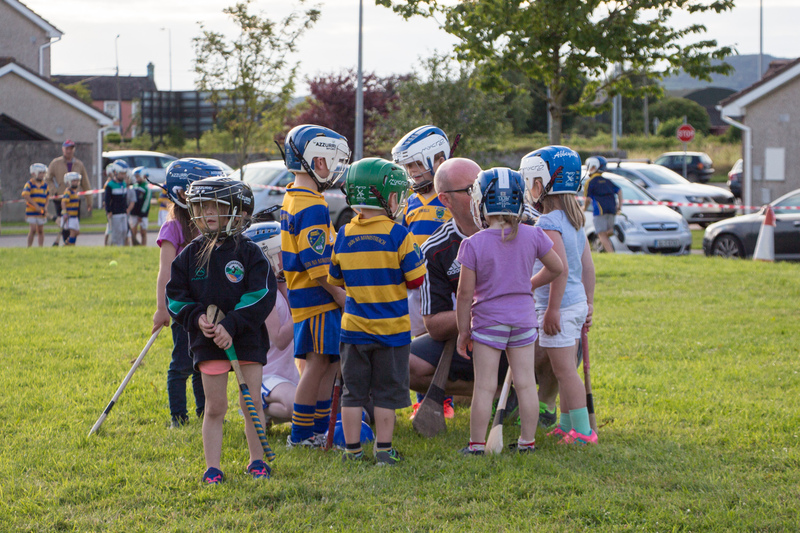 Our next match at this age group is on Wednesday night next against Clann na Gael. This week's photo shows the Ballinacourty and Ardmore teams walking in the parade prior to the County Senior Football Championship Final played at Fraher Field in 2007. A 3-4 to 1-7 victory secured our first title at this grade since 1981 and also the first of three titles in seven years. Our ever popular Jack the Joker fundraiser continues this Sunday night in Minnies Bar where the jackpot is €3,400 as on Sunday night last Tom and Anthony were drawn out of the drum and chose card number 50 which wasn’t the Joker although they did win €50. Shirley and Marie and John Healy won €25 each. As well as our group of ticket sellers tickets can be purchased from Convenience Store Ballinroad, Village Flowers, Spar, Mousies Takeaway, Minnies Bar and Crottys Corner Bar. 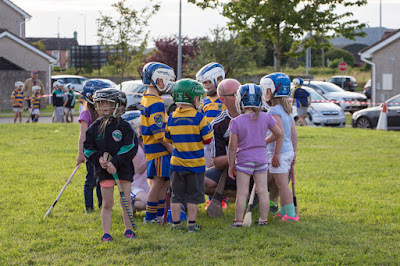 On Friday night last our Junior A hurlers played Geraldines in the Western Championship in Fraher Field where they recorded a very good win. They have now qualified for the knockout stages of the Championship. 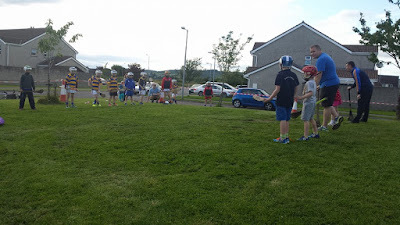 Then on Saturday night our Junior B team traveled to Colligan to play Brickey Rangers, where after a very good performance we were unfortunately defeated. 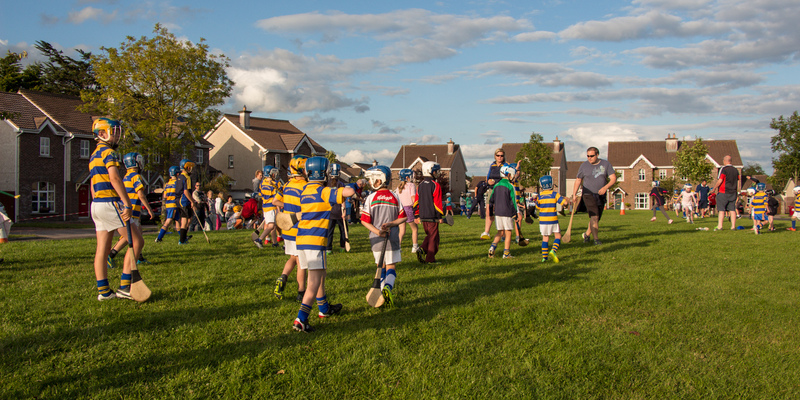 This Friday night out Junior Football team play Melleray in Bushy Park at 7:30 pm. On behalf of all in the club we send our deepest sympathies to the Houlihan family and all in Dungarvan GAA Club on the tragic death of David Houlihan last week. Whilst David was of course a proud member of Dungarvan GAA Club he had many friends in Abbeyside and the news of his untimely death shocked and saddened everyone when they heard it last Wednesday. 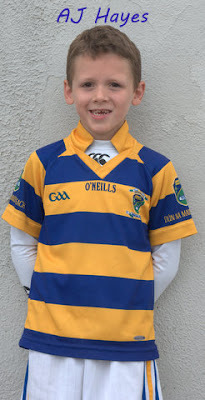 David had an infectious personality which meant that he endeared himself to anyone who ever met him and had played against us only a few short weeks ago in Intermediate Football. The fantastic response to the fundraising activity to help with returning David home is testament if any were needed to the high regard David was held in by all who knew him. Indeed it is often said that only the good die young and this is certainly true of David. 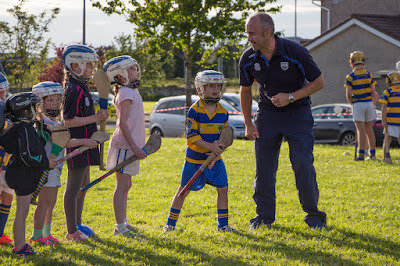 He will be deeply missed by all his good friends in Abbeyside / Ballinacourty GAA Club and we once again send our sympathies to all the Houlihan Family and the members of Dungarvan GAA Club. Click here to see details of our new initiative. Next up for our minor hurlers is a home game against Mount Sion in the 2nd round of the championship on Sunday the 19th of July in Abbeyside. Our under 16 hurlers played their first championship match on Monday night of last week against a very strong Ballygunner team. Despite defeat our lads played some good hurling throughout and just came up short by a goal in the finish. 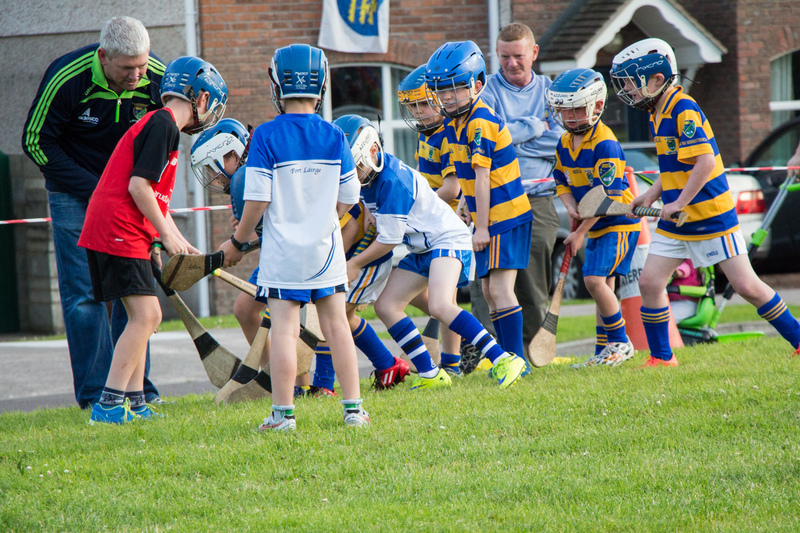 Our under 14 hurlers took on Ballygunner in the championship on Monday night last. At the time of going to print the result of this match was unavailable but will be included in next week’s notes. They also take on Cois Brid tomorrow night (Thursday) in the championship. Good luck to all. 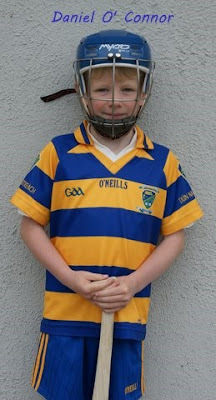 Our under 13 hurlers take on Fourmilewater in the under 13 hurling championship tonight (Wednesday). This is a re fixed game from last Saturday. 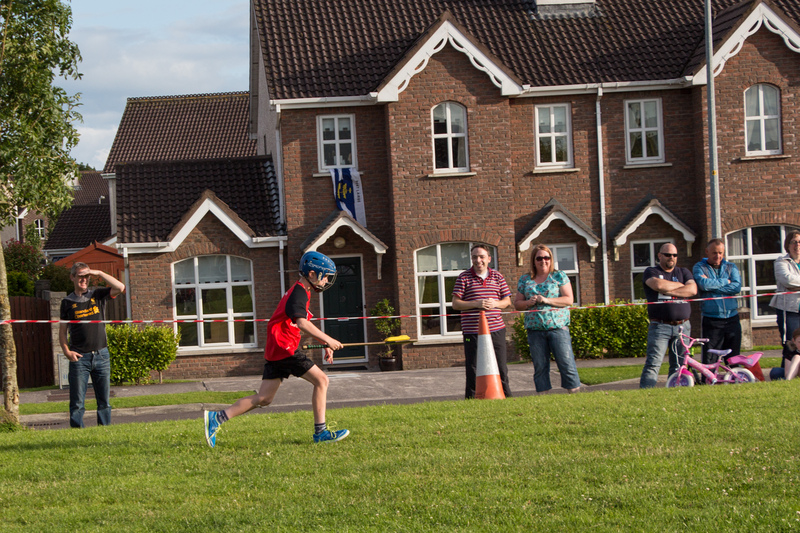 A big thank you must go to all those who supported or helped out in any way during our annual flag day last week. 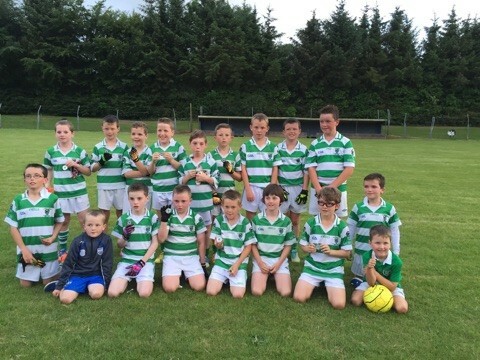 Back Row (L to R): J. Tobin, D. Whelan, S. Callaghan, S. Cullinane, P. O'Connor, T. Cowman, T. Kiely, F. McGovern, D. O'Connor, N. Hayes, J. McGregor, T. Waters, M. O'Connor, P. Burke, M. Landers, S. Leahy. 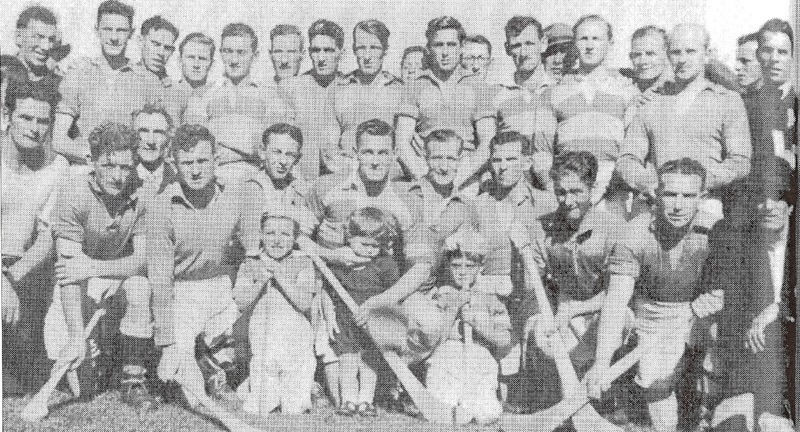 Front Row (L to R): M. Fives, J. Flynn, P. Whelan, S. O'Brien, P. Whelan, J. O'Connor, M. McGovern, M. Organ, N. McGovern, T. Ryan, J. Hayes. 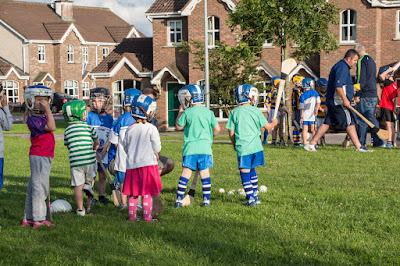 Children in Front (L to R): S. Whelan, C. Fives, J. Organ. 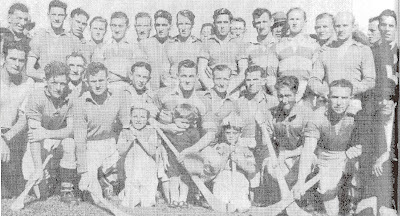 This week's photo comes from 1949 and shows the St. Augustine's (Abbeyside) team, as it was known then, prior to the Round 4 Western Junior Hurling Championship clash with Éire Óg. A comprehensive 6-7 to 0-1 victory set up a Western Final against Tourin. A replay of this fixture was ordered after Tourin had fielded two illegal players. 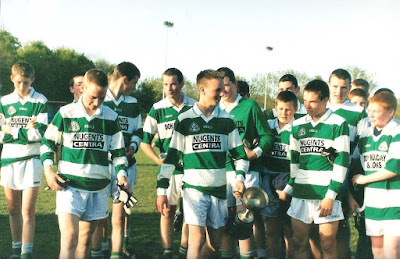 A narrow 3-6 to 2-7 defeat meant another year in the junior ranks, but the stay was short-lived as the following year promotion to senior was achieved with victory over Dunhill in the County Final. Our ever popular Jack the Joker fundraiser continues this Sunday night in Minnies Bar where the jackpot is €3,200 as on Sunday night last Fiona Flynn was drawn out of the drum and chose card number 26 which wasn’t the Joker although she did win €50. Ciara Clancy and Bernard Troy won €25 each. As well as our group of ticket sellers tickets can be purchased from Convenience Store Ballinroad, Village Flowers, Spar, Mousies Takeaway, Minnies Bar and Crottys Corner Bar. On Saturday night last we played Geraldines in Fraher Field at in our final match of the group stages of the Western Championship and recorded a good win, which means we will now play Ballinameela in the semi finals later in the summer. On Friday night our Junior Footballers defeated Geraldines in Colligan in the Western Championship. Our final game in the group stages is against Mt. Mellary. 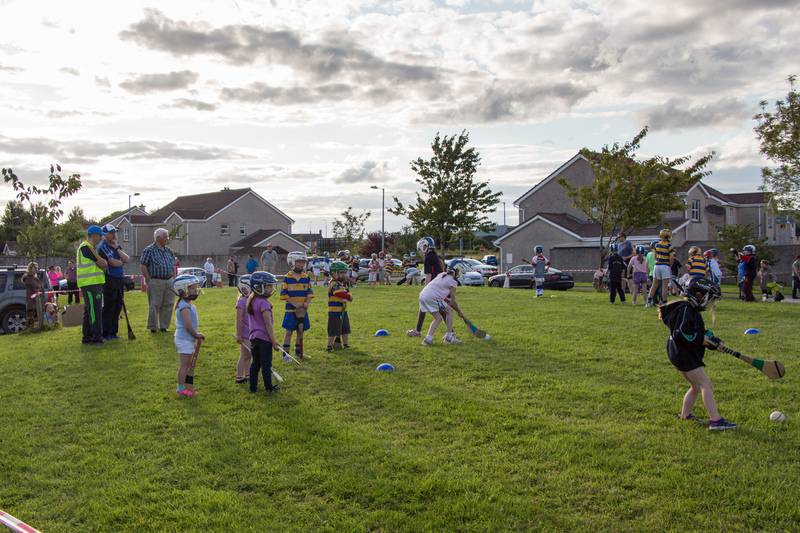 This Friday night our Junior A hurlers play Geraldines in the Western Championship in Fraher Field at 7:30pm. 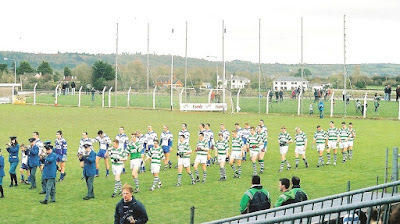 Then on Saturday our Junior B team will play Brickey Rangers in Colligan at 7:30pm. Tickets for the Munster Senior Hurling Final will be given out this evening, Wednesday between 7:00pm and 8:00pm in the Clubhouse. All tickets must be paid for on the night. Our Club Bingo will continue this Sunday night in the CBS Hall where the jackpot is €600. Our minor hurlers were in action against the Brickies in their first game of the minor hurling championship in Bushy Park on Monday night of last week. Despite not playing well and coming up against a very determined Brickies 15 the lads continued to battle away throughout to come away with an important victory. Next up is a home game against Mount Sion on Sunday the 19th July. 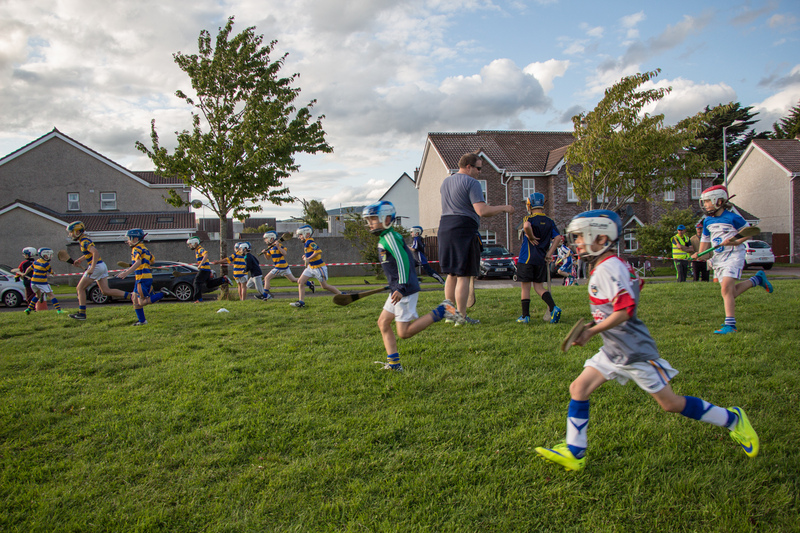 Our Under 16 hurling championship got up and running on Monday night last against Ballygunner. At the time of going to press the result of this match was not available but will be included in next week’s notes. 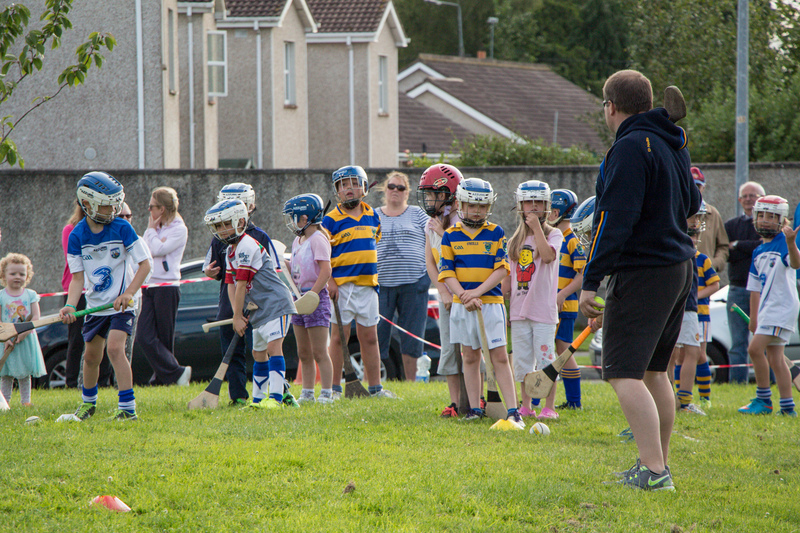 On Saturday next our Under 13 hurlers take on Fourmilewater in the Under 13 hurling championship at home. Meanwhile our Under 14 hurling team get their championship up and running on Monday night next against Ballygunner. We wish all the very best of luck. On the weekend just gone our Under 14 footballers had five representatives on the county Under 14 football team for the annual Jim Power tournament. 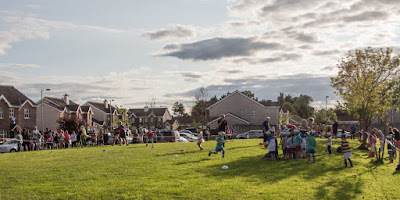 Each represented themselves their families and their county well on the day. The five players were namely Michael Kiely, Sean Roche, Cian O’Riordan, Senan Travers and Eoin Ahearne. Well done to all. Shane Kiely, Eoin Flynn and Daithi Brunnock were in action for the county Under 15 football team also at the weekend. Our Under 12 hurling team played in the Town and Country Under 12 hurling league on Friday night last at home where we came up against a Naomh Brid team that were very hungry. We lost this game in the end by five points. 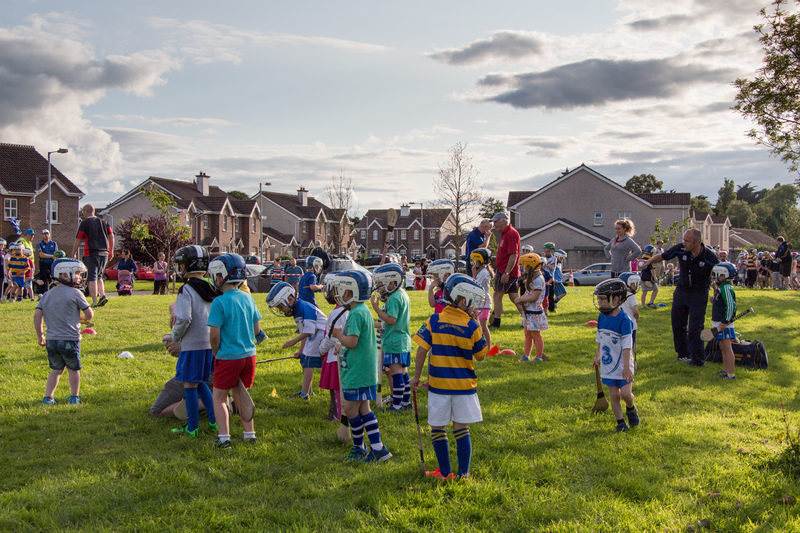 This week we take part in a blitz in Clonea Power at this age group where there will be teams from all over Munster and Leinster taking part. Hopefully everyone involved will have a great day out. Tickets for the Munster Senior Hurling Final will be given out on Wednesday evening, 8th July between 7:00pm and 8:00pm in the Clubhouse. All tickets must be paid for on the night. 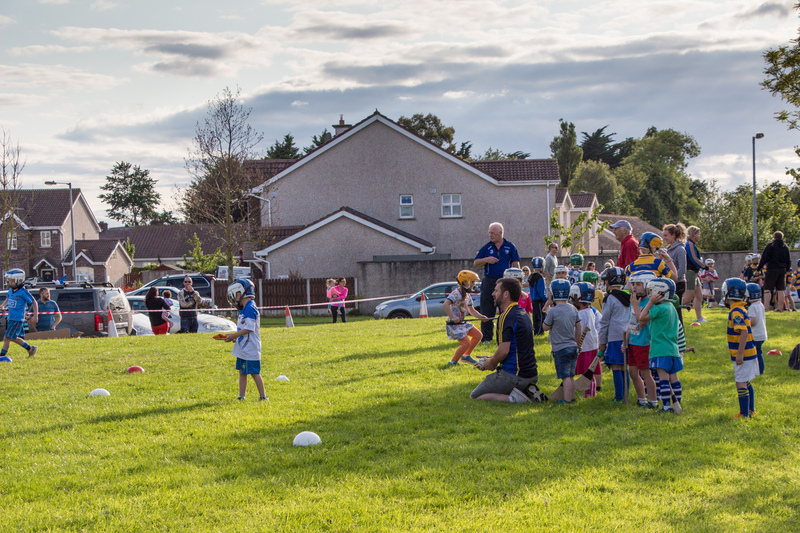 Over the last few months, Abbeyside / Ballinacourty GAA Club has been working on a strategy to improve participation and skill levels in hurling throughout the parish. 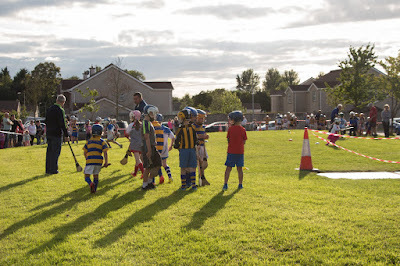 One aspect of this is a new initiative called 'Hurling on the Green' where coaching and hurling related activities will take place in a fun environment in estates in Abbeyside and Ballinroad over the coming weeks. Every child from 5 to 8 years is welcome to come. 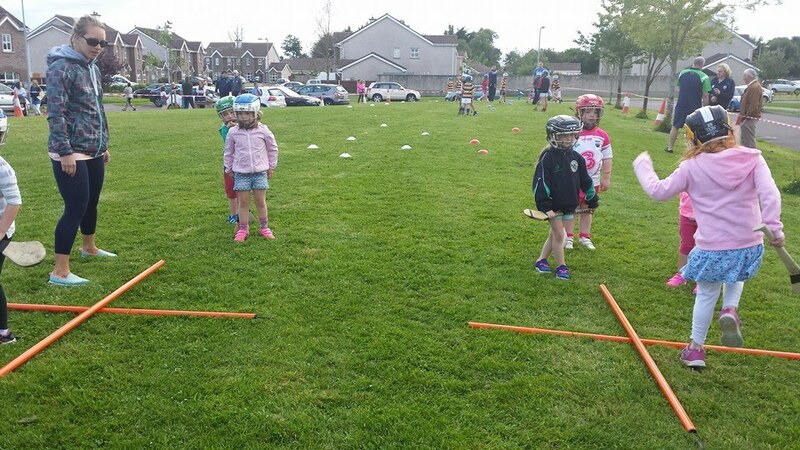 Hurleys and helmets will be provided. Click here to learn more.